Heart Stronger is the newest standalone from one of my favorite go-to authors, Rachel Blaufeld, although I'm pretty sure that there's a companion novel in the offing (or this could very well be the beginning of a series of standalones). This isn't so much a May-December love story as it is a May-September one, with an older woman and a younger man becoming neighbors and falling for one another while dealing with respective personal losses. It's been three years since thirty-six-year-old college professor Claire Richards lost the light of her life=. Since then, she's barely living a productive enough life. Then comes along her new neighbor, thirty-year-old website designer Aiken Fordham. He wants to push her, to make her see that life is worth living and not merely go through the motions. They fall for each other, but when their shockingly pasts intersect, will it be too much for them to bear? I loved how Claire evolved from a woman who was in mourning to being a women who could still live a more fulfilling life while missing the person who meant the most to her. Her actions and reactions felt very much real, bringing with them an honesty and rawness that one can empathize with. She wasn't trying to be someone she wasn't, but she also knew when it was time to let go of certain things that were holding her back from truly living. Learn more about Rachel Blaufeld. 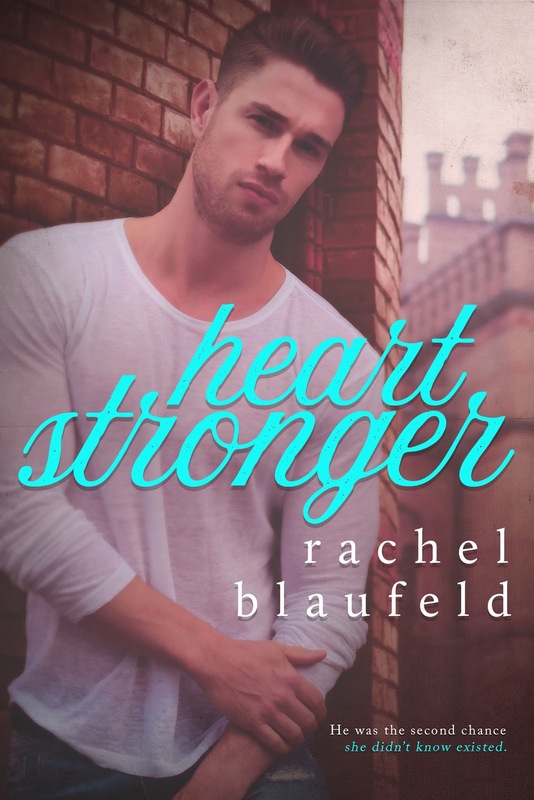 Purchase Heart Stronger on Amazon | B&N | iBooks | Kobo.